‘Treatment when I’m not in pain’? Most patients first come to us when the have a problem with either pain, movement or weakness. Many then make a decision to continue with regular chiropractic maintenance care to help prevent their issues coming back and improve their health and well-being. Chiropractic Maintenance Care is tailored to each individual and often involves a corrective phase focussing on function, posture, strengthening, lifestyle and underlying stresses. Visit intervals vary from weekly up to every 6 weeks depending on circumstances. 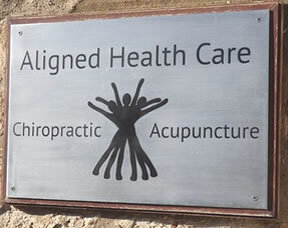 At Aligned Health Care we find that patients have frequently had pain for a number of years. The number of exacerbations and degree of pain frequently increases over this time. By the time you have been through a course of care with us and have experienced the benefits, it is often a very simple decision. ‘Maintaining the new level of comfort simply makes perfect sense’.